Since coming to Samford in 1993, Dr. Keller has been involved in instituting new methods of teaching science. A leader in the university's problem-based learning initiative, he often uses case studies to help students learn more actively. Following another of his interests, he helped Samford establish a center for the study of science and religion. In the Lab, Dr. Keller has been part of a research group to determine the effects of plant steroids on mitosis in onion root tips. Dr. Keller teaches a variety of courses in the Department of Biological and Environmental Sciences and in allied areas, including pharmacy and nursing. These courses encompass the areas of microbiology, immunology, cell biology, general biology, and scientific methods. In addition, Dr. Keller is Assistant Dean of the Howard College of Arts & Sciences. 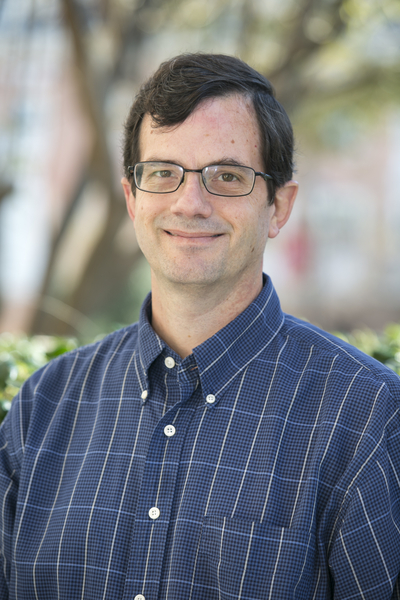 In that capacity, he directs the Samford Undergraduate Research Program, which funds summer research projects that team an undergraduate with faculty researchers. He is also Director of the Alabama Governor's School, a summer enrichment program for rising high school seniors from across the state. And he serves on the Health Professions Advisory Committee, helping Samford's pre-professional students prepare for and apply to medical, dental, veterinary, and optometry schools. Dr. Keller is active in his church choir and has served as a deacon, an elder, and on numerous committees. He has also taught Wednesday night classes in Science and Religion and in Sacred Music. He enjoys sports, reading, traveling, and spending time with his wife, Cindy, and son, George. Keller, G.E., III. 2002. Using problem-based and active learning in an interdisciplinary science course for non-science majors. J Gen Education 51: 272-281. Keller, G.E., III. 2002. PBL in the sciences. In Implementing Problem-based Learning in Arts and Sciences by D.W. Chapman, G.E. Keller, and E.J. Fournier. Birmingham, AL: Samford University Press. Keller, G.E., III. 2000. Problem-based learning in a scientific methods course for non-science majors. J Alabama Acad Sci 71: 100-109.